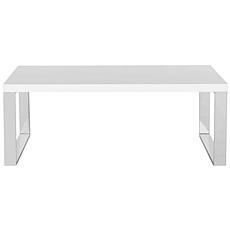 Endlessly versatile, this white lacquered coffe table adds a distinctive look no matter where you place it. Imagine it in your living room, bedroom or even your office. 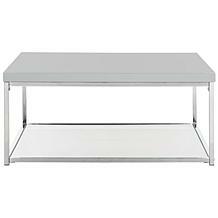 The lift-up top provides ample storage for books, magazines, and more. 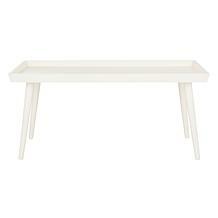 The sleek, modern design of this console table is so versatile. 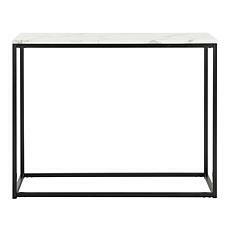 The marbleized top adds a touch of elegance. Imagine it in your foyer, behind your favorite couch or loveseat or even in your office. 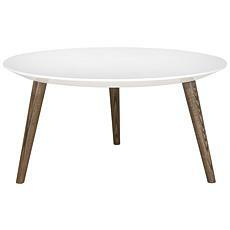 Sleek and contemporary-looking, this coffee table is a fashion statement. This handsome piece is crafted with a lacquer-look finish on its top, chrome frame and a bottom shelf of tempered clear glass for magazines or curios. 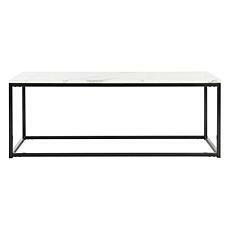 Make it the focal point of your home or office. 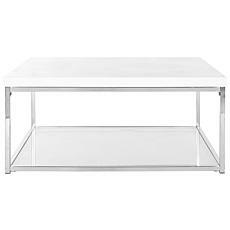 Safavieh Rockford Coffee Table - White Finish Sleek, white and contemporary, this coffee table is a fashion statement. 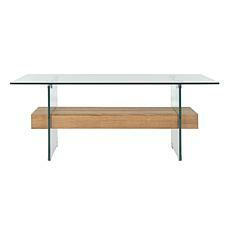 It is crafted with chrome-finished legs and a practical top with the sleek look of lacquer. 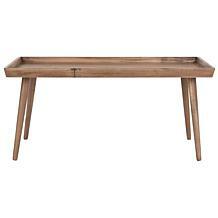 Make it the focal point of your home or office. 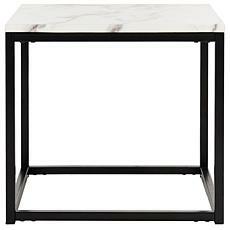 Endlessly versatile, this end table features a white and grey marbleized top that adds grace and charm to any living room. 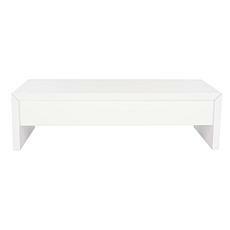 Place a pair on either side of your couch in the living room or group them together for a signature look in your home or office.